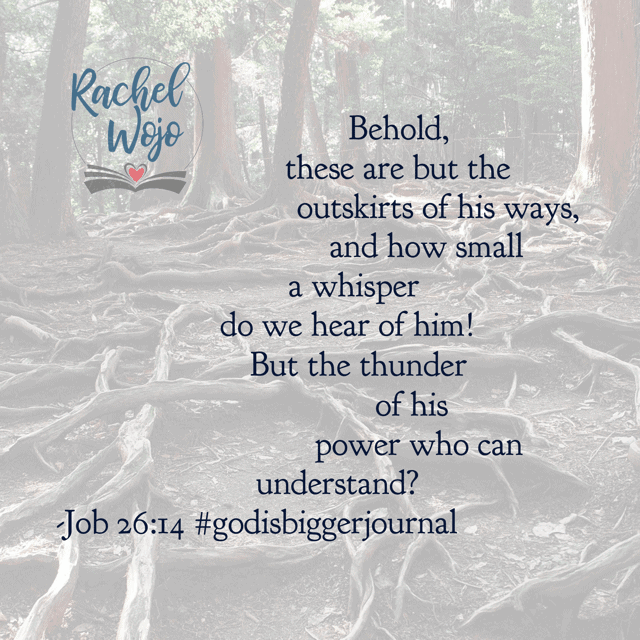 Welcome to the Magnificent Power July Bible reading challenge week 1 summary! If this is your first time here, then I’m so glad to have you stopping by! 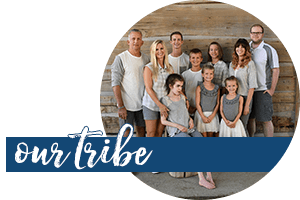 This post is the weekly summary for the monthly Bible reading challenge. Last week was our first week recognizing that God is bigger than any circumstance or situation in our lives today. And what a wonderful week of Bible reading! Let’s take a glance back to review the highlighted verses. Ready? Job begins this chapter with questions. You’ve been there. We all have. Questions like “Why?” “How?” and “When are you ever going to?” Job’s friends reply with great answers, but in these few verses, I really thought my boldness to question God. How much of a god would I have if I understand everything he was doing? The verses throughout this month’s Bible reading challenge are definitely challenging my heart! You ever had a season where it felt like God put you on a shelf? Every door was closed and zero opportunities came your way? I have. It stings and frankly, makes me want to pout. And stomp my foot. Maybe even throw a few things. (But you’d never do that!) 😀 What if God placed me in a season of slow because he is preparing me for the next season? What if my hibernation is for the purpose of restoration? What kind of power might I witness if instead of stomping my foot, I curled up next to Him as frequently as possible? 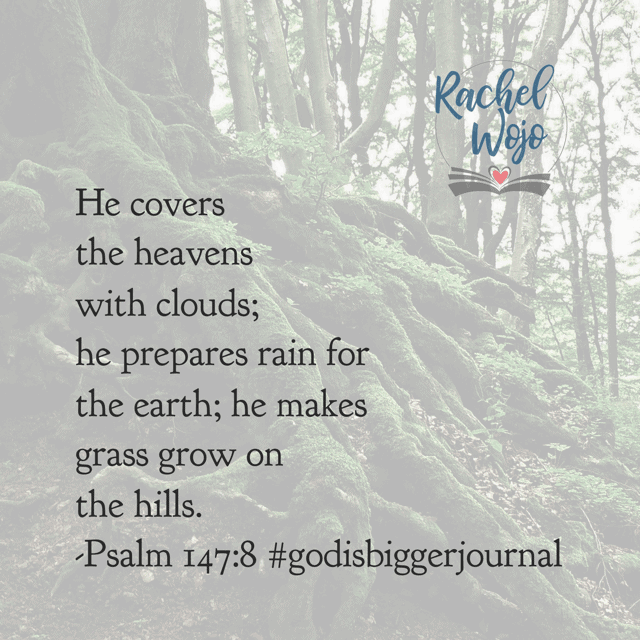 “He seals up the hand of every man, that all men whom he made may know it.Then the beasts go into their lairs,and remain in their dens.” Today’s #godisbiggerjournal #biblereadingplanreminds us that God’s power is exhibited in every season of our lives! Remembering how much He loves us will help us accept the place where He has us. Father, may I embrace the current season of life where You have me. Whether it is thick in the field or settled in a den, let my trust in You loom larger than my trivial demands. 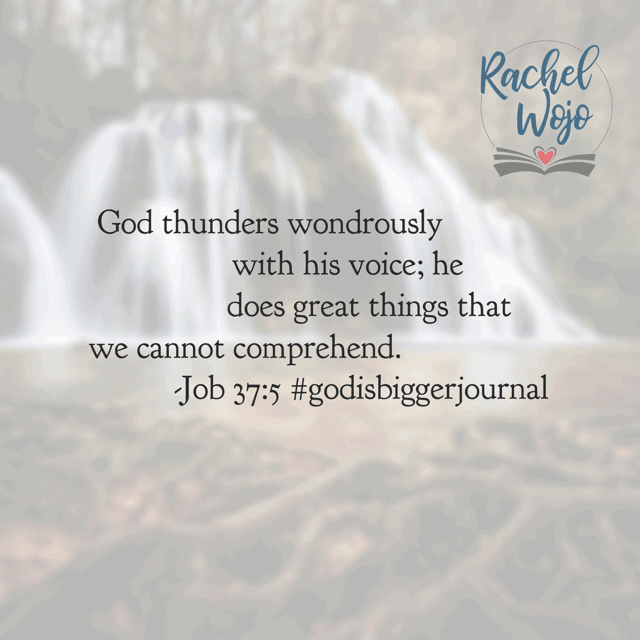 Help me, Lord to remember that You do great things that we cannot comprehend. Amen. Happy Friday! 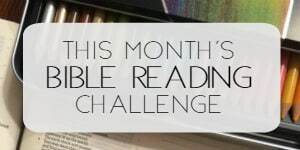 That’s a wrap for the first week of readings in this month’s challenge! 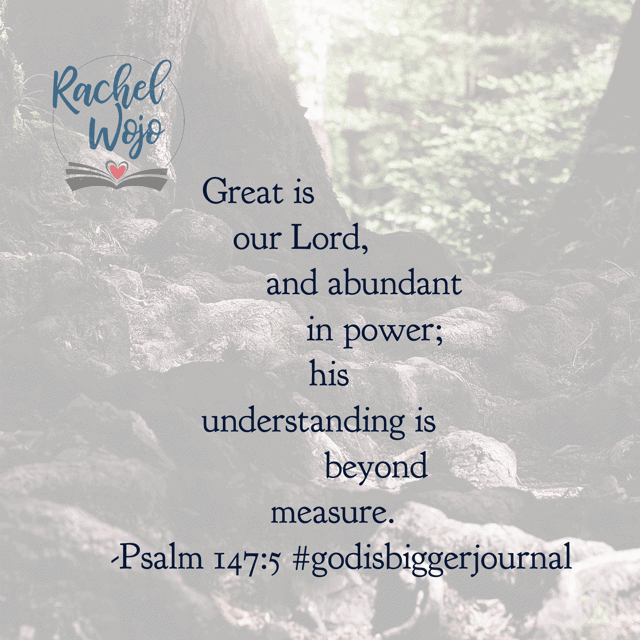 I pray that you are soaking up this month’s Bible reading plan and journal: Magnificent Power. Recognizing that God is bigger than anything is a beautiful reminder to my own heart and I’m looking forward to the journey ahead! Thank youfor rmibding me that my God is alive and preparing me for greater things. 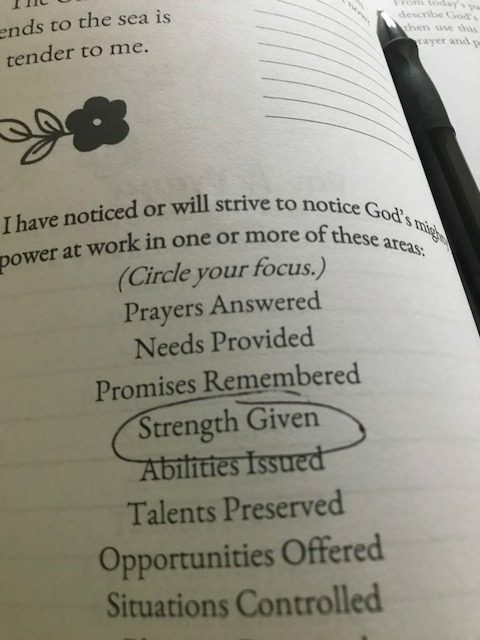 As I wait for Him to answer my prayer, I know that He is going to give me more than what I am asking for. 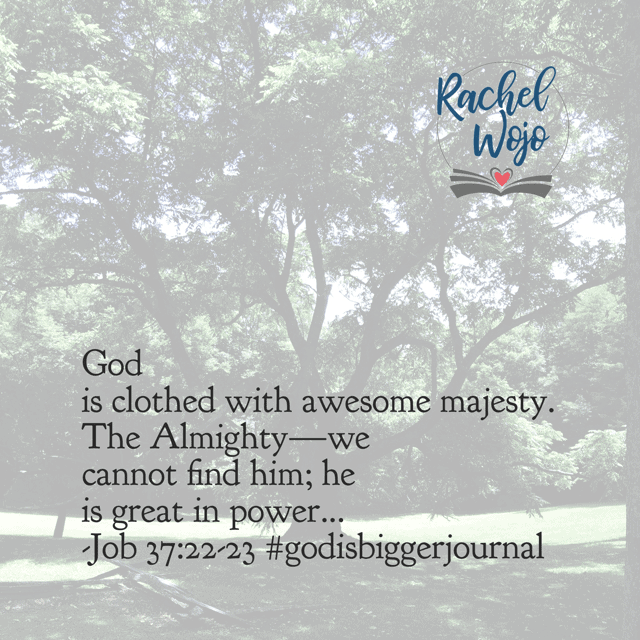 Thank You dear God for sending Rachel to remind us that we belong to the only true God. Thank you Rachel for these verses! I am really struggling right now, due to growing up and not being good enough. what to do, been on my hands and knees praying to God. I am looking for a steady Part Time Job, but nothing. I suffer from Depression/Anxiety which is not helping! If it helps, we are doing the same…pinching pennies twice. 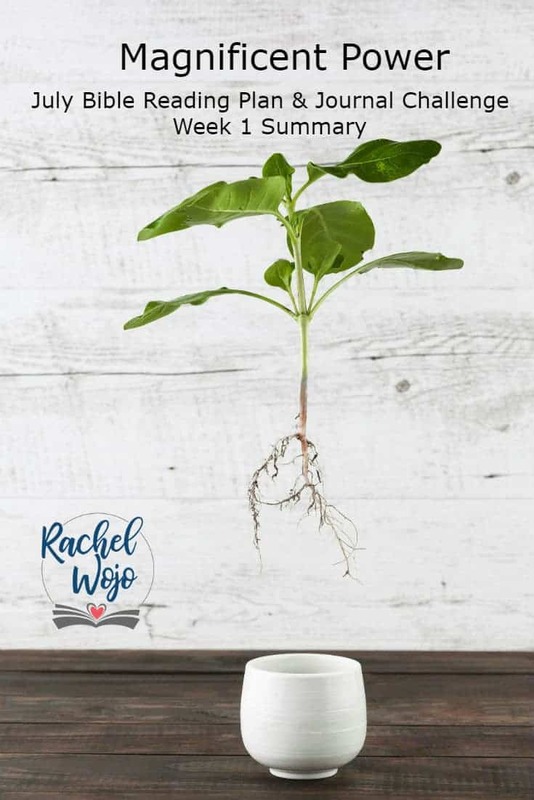 I like Rachel’s admonition that God puts us in these seasons for a reason. I’ve also come to realize that the situation we are in may be more a lesson to my husband or son, so I look for that too. These are the times God builds out trust so 10, 20, 30 years later, I look back and marvel that we got through and God is faithful. That can be such a difficult question. 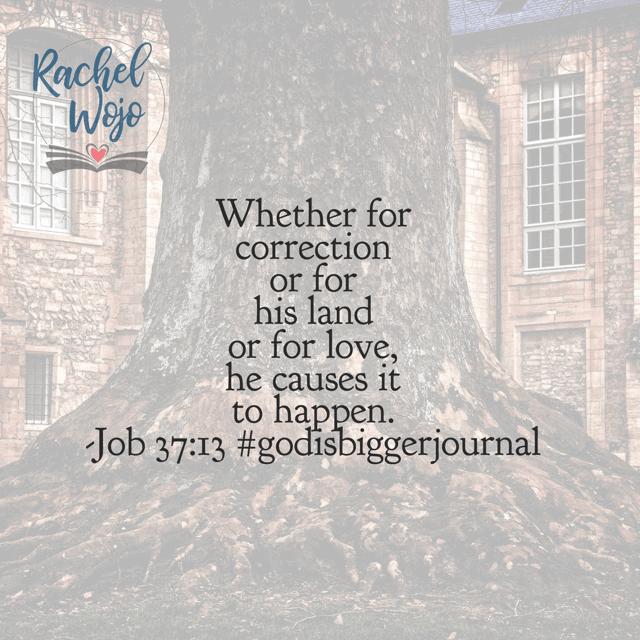 Recognizing the seasons where God has you requires walking closely with Him. 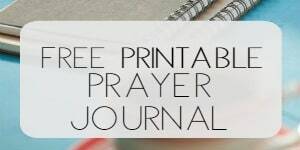 Reading His Word and spending time in prayer and praise helps you draw closer to Him. The more time I spend walking with Him, the more awareness I have through the wisdom and guidance of the Holy Spirit. I wish I could give steps 1-5, but this is the best I can break it down. I hope it helps you! !